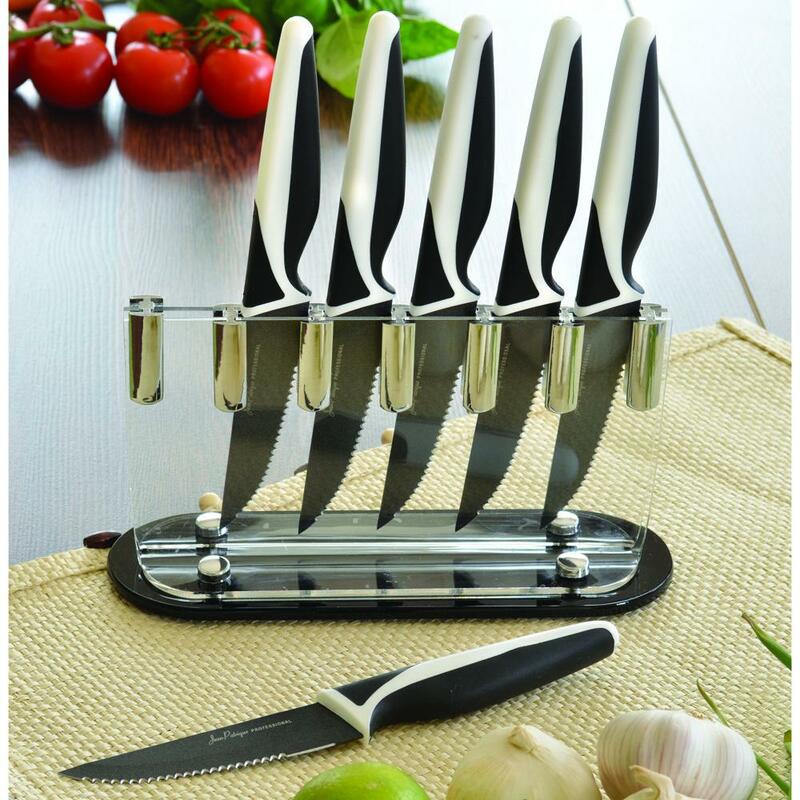 Designed for professional chefs, these beautifully-crafted, all purpose three essential stainless steel knives chop and slice vegetables, fruits and meats with record speed and unprecedented precision. 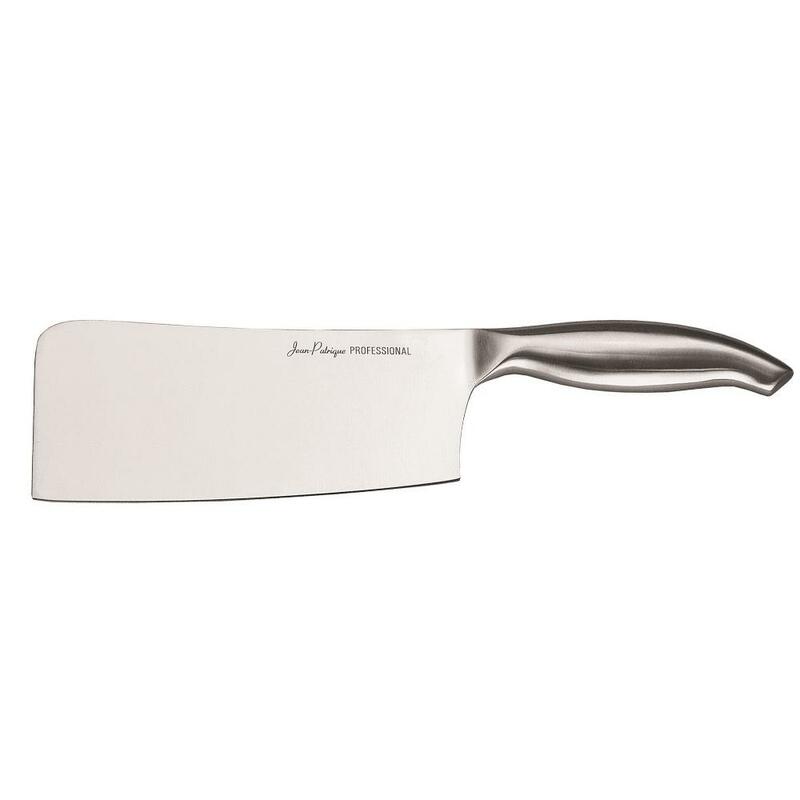 Originally used in Asian kitchens for preparing sushi, the unique scalloped blade, or ‘’hollows’’ which run the length of the blade, create air pockets which prevent delicate foods such as fish or thinly sliced beef or pork from sticking, saving you time and giving you a clean, precise and effortless cut. 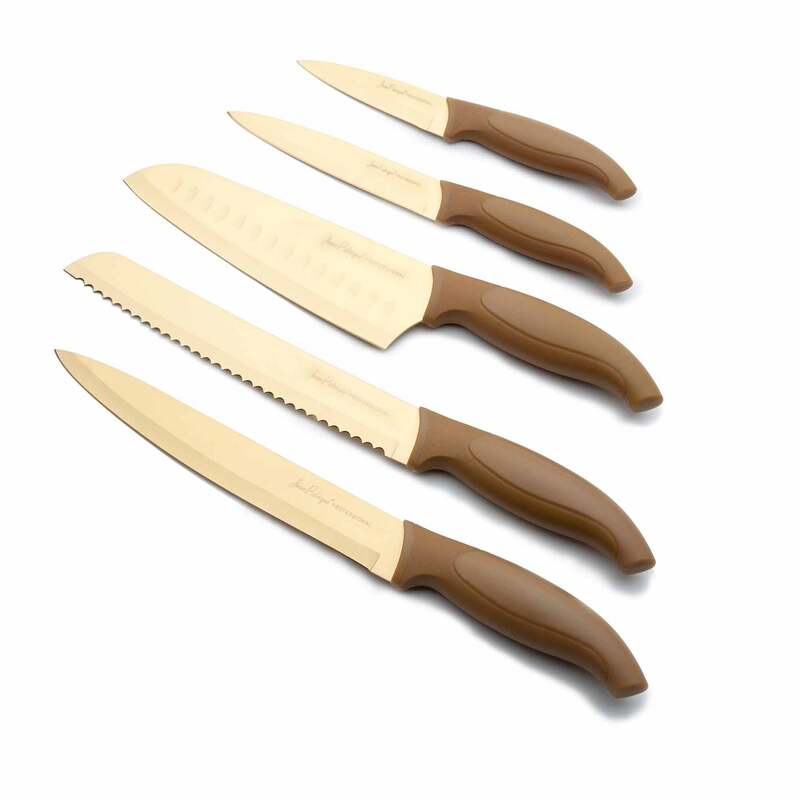 The set includes an 8” chef’s knife for carving and for trimming uniform pieces for stews and soups; a 6” chef’s knife for slicing meats deli-thin for sandwiches and creating strips for stir-fry and fajitas and a 4” chef’s knife for finely chopping herbs, fruits and vegetables. 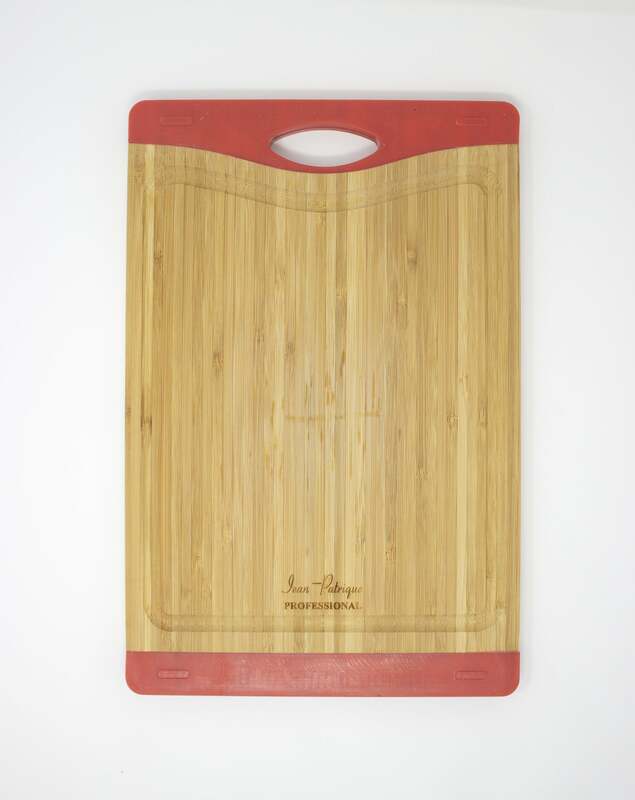 Triple-riveted ergonomic wooden handles provide a strong, smooth, comfortable grip that is perfectly balanced.